If you want to experience the lavish and lucrative gambling world of Las Vegas just on your mobile, then Magical Vegas definitely one of the best casino games you can play. The name states how magical experience you can have and if you once go through the thrilling games and interesting bonuses, you will be enthralled. 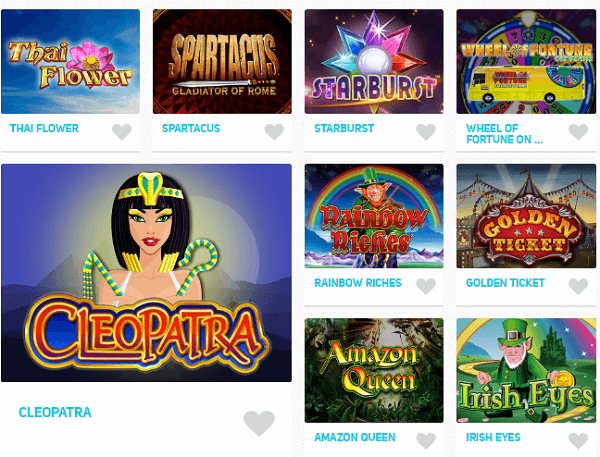 This mobile casino consists of more than 200 money-making games to entertain you. So, if you are ready to be Alice, go down the rabbit hole of the enticing world of Magical Vegas and get entertained to the fullest. You have known that you can enjoy more than 200 games here, but aren’t you interested in digging deep? You can get here all types of games that a real casino has, including card games, slots, scratch cards, jackpot slots, table games, casino games and so on. Starburst: In this casino, new players get a chance of 20 free spins of this game. It is a classic game with sparkly Wild Symbols. Monopoly Plus: This can be one of the most interesting board games you have ever experienced. It is true that winning is difficult here, but you can get the chance of playing a Board Bonus Game where you can get a chance to win. Gonzo’s Quest: Avalanche features, free falls, 3D explosions, what more you need to experience adventure while gambling? This was NetEnt’s first video slot game. Da Vinci Diamond Dual Play: With 40 pay lines, 2 set of reels and tumbling features, this game is here to excite you the most. Jackpot Poker: This is video poker game with an exciting twist! You can select cards here to get the best ranked five-card hand. If you want, you can play gamble bonus round where you have a chance to win up to 1000 coins. Speed Cash Progressive Jackpot Slot: You can play here just with 1 pound and spin the wheel to try your luck. Getting progressive jackpot prize depends on the number of spins. With so many games, it is quite obvious that the players will get confused. To remove their confusion, there is a feature, called ‘Slots Filter.' How does it help you? It allows picking the games that interest you the most. It makes it possible to go through the features of each game before selecting. You can also know about the themes and pay lines of your selected game. You can also view the detail information about all slots before playing. 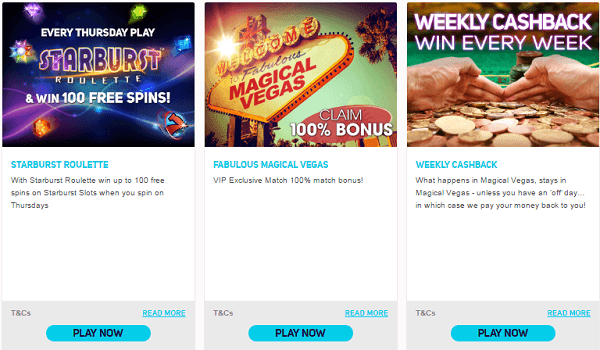 There is a mini guide including the features, the number of free spins, minimum wagers and much more. All these are very handy and helpful to the players. Bonuses can make your playing experience more exciting. For new players, Magical Vegas offers deposit bonuses. First Deposit: 100% bonus, up to 500 pounds. Second Deposit: 30% bonus, up to 250 pounds. 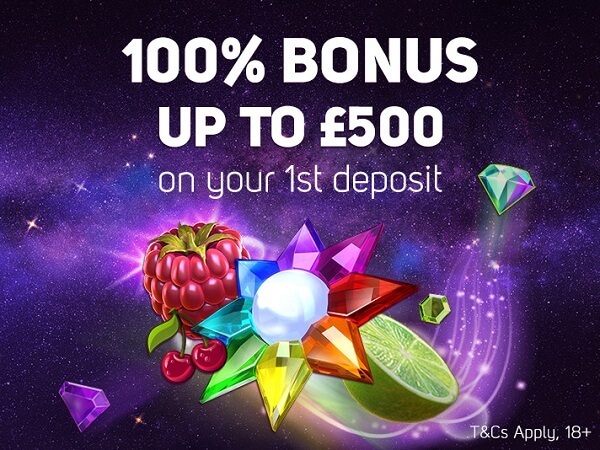 Third Deposit: 50% bonus, up to 250 pounds. 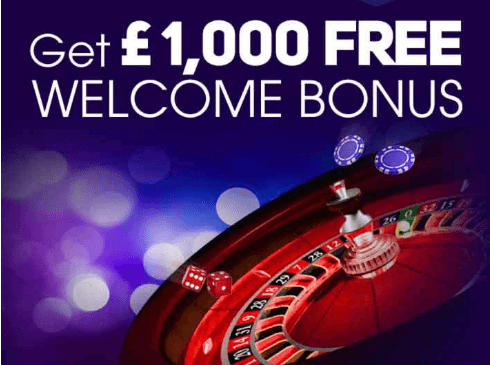 You can use these bonuses to any type of games of this casino at the minimum deposit of 20 pounds. The bonuses stay active for only 7 days, and after that, any unused amount will be removed from your gaming account. To celebrate Gonzo’s 5th birthday, you can get free spins. Lucky Draw for an all-expense-paid trip to Las Vegas. Free chips on every Friday. You can also get comps points which are known as “Magical Moolahs” with every bet and deposit. You can get these at the exchange of free spins, bonus cash and competition entries. The VIP Club is there too for the most valued players but, that is only on invitation. So, now you can get some ideas why Magical Vegas is unique in the crowd. It is impossible to explain the magical entity of this casino within few words. We will get back to you with lots of other magical information about this casino. Until then, you experience its charm and share your views with others so that more and more people get enticed with the magical world of this mobile casino.